What are the best travel apps? Home / Business Travel Blog / What are the best travel apps? 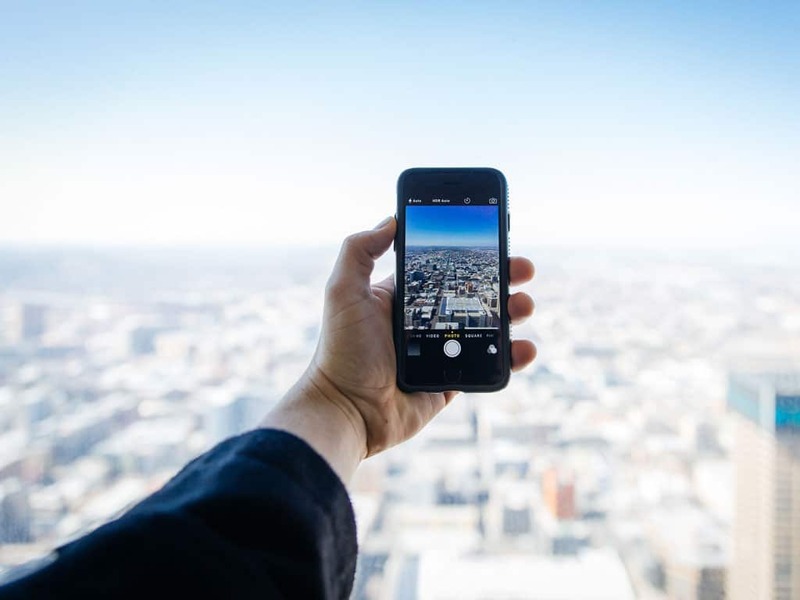 Over the past few years the number of travel apps that have become available has grown significantly and with the recent change in EU legislation to make the cost of using internet abroad the same as in the UK, there’s never been a better time to use technology to enhance your travel. Gone are the days of needing to print out all your confirmation emails to carry in a folder, apps like Google Trips and Tripit use information from email confirmations to store the details of your bookings (including flights, car hire, hotel and event bookings) in one, easily accessible place. They can also use the information to pull together an itinerary for you to view and share with others going on the trip. Both apps are really useful and easy to use but there are some key differences depending on what you want to use it for. Whilst Google Trips automatically gathers and organises information from your emails, you need to forward emails to Tripit for it to do a similar function. However, what Tripit does have to its advantage is the integration of other (really helpful!) apps such as App in the Air and PackPoint. App in the Air allows you to import your flights from Tripit and will keep you updated with the flight status and suggestions of how to manage your time at the airport. PackPoint is an intuitive app which suggests what you need to pack based on your Tripit travel itinerary. It will take in to account the weather forecast, length of your trip, activities you have planned and who you are travelling with (especially helpful if you are travelling with children) to give you a personalised packing list. Whether it’s to have a shower, find somewhere peaceful to work or a treat before a special trip, using a lounge at the airport is a high priority for a lot of travellers. However, it can be hard to find out if there is a lounge you can use, what services it offers and whether it’s worth getting to the airport early for. The LoungeBuddy app aims to solve this issue. Its intuitive design encourages you to enter your trip details so it can tell you which lounge (if any) you are entitled to use with your ticket or airline status and which ones you can buy entry to (including the cost and easy payment option). It also gives each lounge a rating of Basic, Solid or Luxe based on reviews from customers and you can then add your own review and rating to help other travellers. The lounges offered are similar to the ones offered by Lounge Pass but also include some Lufthansa business lounges. If you find yourself frequently paying for lounge access, it could be worth considering the Priority Pass app as an alternative. There are 3 Priority Pass membership options and once you’ve joined your membership card is downloaded to the app. You get access to over 1,000 lounges globally and you can easily check if there is a lounge at the airport you are travelling to/from on the app. Being able to call home or the office while you’re abroad can be critical and Whatsapp and Skype have become the go-to apps for this. However, you need strong Wi-Fi to use them so what happens if your internet coverage isn’t good enough? Rebtel is an innovative app that ‘hijacks’ local phone lines and gets the best available rates for the destination you’re calling. It’s a relatively new app and as part of the launch, if the person you are calling also has the Rebtel app, then the call is completely free. Whether driving, using public transport or walking around a city, there is an app that can make sure you know where you are going. For the roads, Waze is our app of choice. It is a GPS navigation app which relies on its active community to share information about traffic and incidents to give you the most up-to-date information about your journey. For public transport, we love either Rome2Rio or Citymapper. Rome2Rio easily handles complex journeys across countries and continents, seamlessly integrating over 4,800 transport operators in 158 countries. It can calculate options which include trains, planes, buses, ferries and cars all with travel times and costs. Citymapper is extremely effective for navigating public transport within a city and is fun to use as well. It provides detailed journey plans including real time departures, disruption alerts and cycle routes as well as how long your route would take by jetpack! It is currently available in 30 cities worldwide and is hoping to expand to more in the coming year. For exploring a city by foot where you want to appreciate the culture but don’t want to do a group tour, Detour is the app for you. Promoted as an ‘immersive experience through the eyes of a local’ Detour uses local residents to deliver virtual tours giving insider knowledge and using GPS to track exactly where you. There are a range of options such as tours of whole cities, iconic landmarks within cities and areas notorious for amazing food. The app offers previews and 10 minute trials if you want to try a few options before settling on. The app currently covers 10 US cities and 8 international cities. If you’ve ever arrived in a city and wanted some inspiration about what to do, the Time Out app is a great directory of popular bars, restaurants, attractions and events. The event finder is particularly useful if you’re looking for concerts, festivals or one-off happenings. You can also book restaurants and concert tickets through the app and create a customised travel guide for your holiday. From BBC weather to Accuweather, everyone has their favourite weather app to keep an eye on what the temperatures are going to be like at home and abroad. However, sometimes you need something a little more specific for holidays in the snow. OnTheSnow Ski & Snow Report is an app which gives clear weather reports, the latest snow reports from over 2,000 global ski resorts and allows users to upload photos and reports. It’s the worlds most downloaded ski and snow app and a must for any ski holiday. Sharing holiday photos on social media has become part of the experience for many, however, if you just want to share your photos with a select few friends and family, Cluster is an app which allows you to do this. Once you’ve downloaded the app you can invite the people you want to see your photos to download it too and they then get access to your album. As you upload photos they can ‘like’ them and comment as they would on social media, but it’s only the private group that can see them, genius! Finally, if you have hundreds of photos and want to make a video for friends and family to view them all but don’t have the time or inclination to master complex technology, Quik is the perfect app. It’s easy to use and in just a few clicks the app will transform your pictures and videos into a slick compilation.